GBPUSD is under the influence of some economic reports such as exports and GDP for GB and durable goods and pending home sales for US. 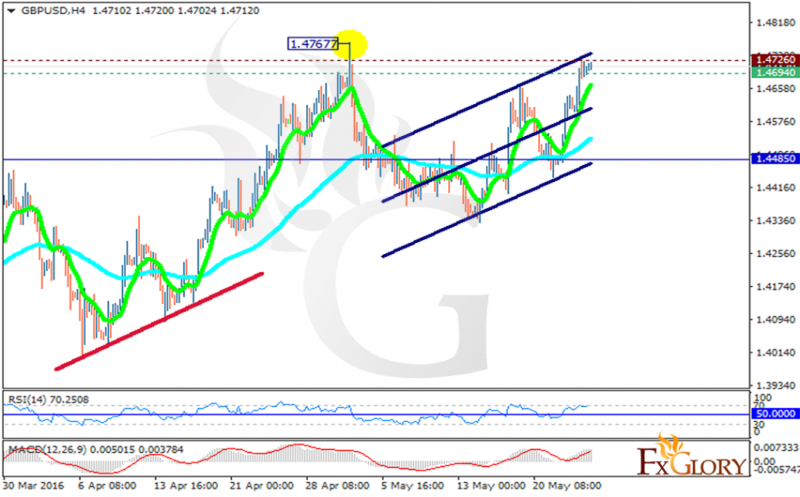 Since 23rd of May GBPUSD has been rallying up the ascendant channel and we can only see a few pullbacks. The support rests at 1.46940 with resistance at 1.47260 which both lines are above the weekly pivot point at 1.44850. The EMA of 10 is located above the EMA of 75. All indicators are signaling price growth, the MACD indicator is in positive territory and the RSI is above the 50 level. Long positions are recommended with the target at 1.4880.